One by one the leading British watch, clock and chronometer makers are being brought back to life. Graham Watches, John Arnold (a keen competitor of Thomas Mercer in those far off days), and now Thomas Mercer itself. Thomas Mercer is synonymous in the best in navigation. Thomas Mercer Ltd made chronometers, clocks, instruments and measuring equipment in London and St. Albans, from 1858 until 1984, when dial gauges were being replaced by electronic measuring devices and chronometers by GPS. For 126 years, Thomas Mercer and his successors had, between them, made over 30,000 chronometers of all types. Now restored to its former glory, this proud British company is based in Richmond upon Thames. September 2012 will see the revival of this legendary chronometer brand. At the Monaco Yacht Show, Thomas Mercer Ltd will unveil the new Thomas Mercer Chronometer designed by the world-renowned superyacht designer Andrew Winch. The timepiece will be equipped with the mechanism TM0801, whose totally new design features 8-day power reserve, chain and fusee and spring detente escapement, and will be mounted on the quintessential gimballed suspension. Propelled by this exciting collaboration between two illustrious British names, which combines the style and beauty of a Winch design with the precision and expertise of Thomas Mercer, the marine chronometer is evolving into a revolutionary design object desired and anticipated by the owners of the world’s finest yachts. Thomas Mercer Ltd enjoys an illustrious history, but it very nearly never got off the ground. In 1854, having decided that the English watch and clock industry held no future for him, 32 year old Mercer took a coach to London and bought himself a one-way ticket to America. While awaiting passage, he saw a marine chronometer in the shop window of John Fletcher, one of the most important chronometer makers of the day. He walked in and asked for work, and was accepted as a watch springer and finisher. 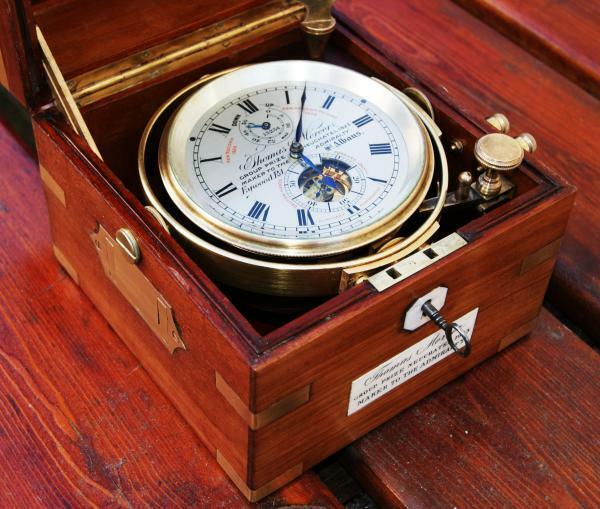 During this period, the Greenwich premium trials were being held, to enable the Royal Navy to find makers capable of supplying and servicing chronometers that could be relied on to perform accurately and consistently under the extremes of temperature and motion encountered at sea. High prices were paid for chronometers that passed these trials. Two years later, Mercer left Fletcher's service to set up on his own as a chronometer maker at New North Road, London. Mercer became involved in the British Horological Institute, in 1874 he set up a factory behind his house at 14–15 Prospect Road St Albans. Each Friday he travelled the 20 miles to collect finished parts from his specialist outworkers in Clerkenwell and called into the Horological Institute. At the time of his death he had been responsible for the manufacture of over 5,000 chronometers, sold to the Royal Navy and to the navies of the world. 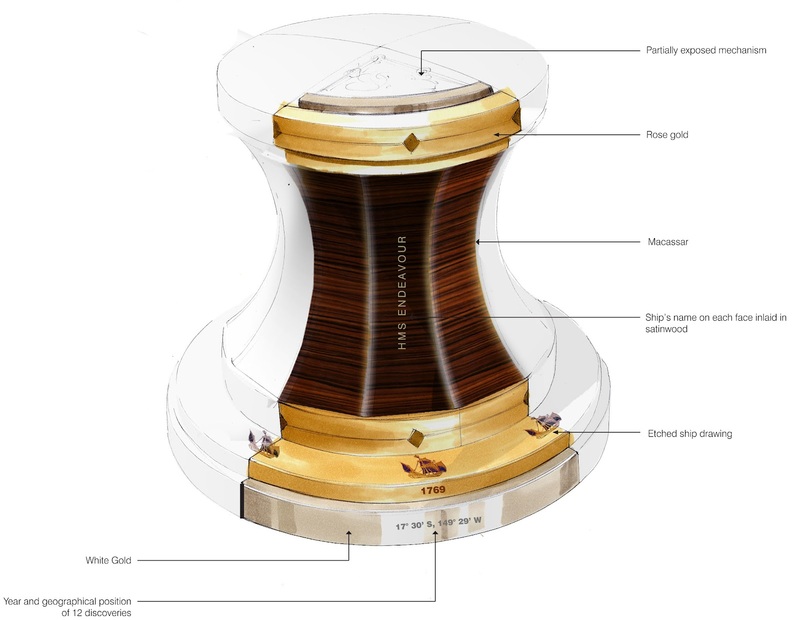 What is a marine chronometer? 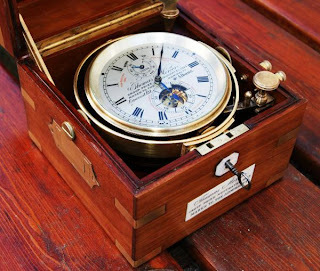 A marine chronometer is a clock which is precise enough to be used as a portable time standard; it can therefore be used to determine longitude by means of celestial navigation. 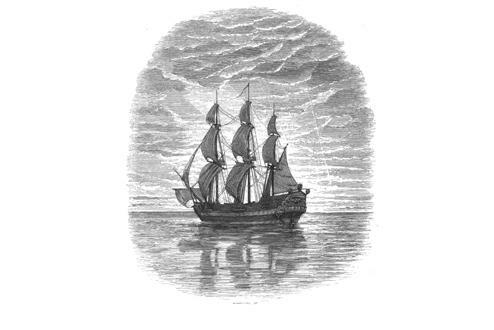 When first developed in the eighteenth century it was a major technical achievement, as accurate knowledge of the time over a long sea voyage is necessary for navigation, lacking electronic or communications aids. The first true chronometer was the life work of one man, John Harrison, spanning 31 years of persistent trial and error that revolutionised naval (and later aerial) navigation as the Age of Discovery and helped Colonialism to reach new heights. 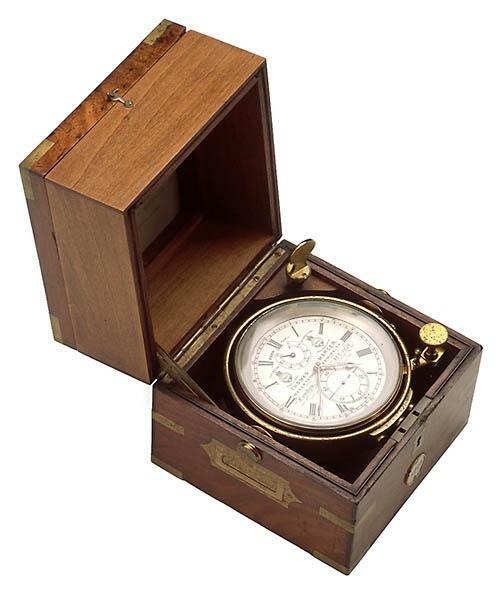 Without the Marine Chronometer there would have been no British Empire.